/ Guitar Vs. 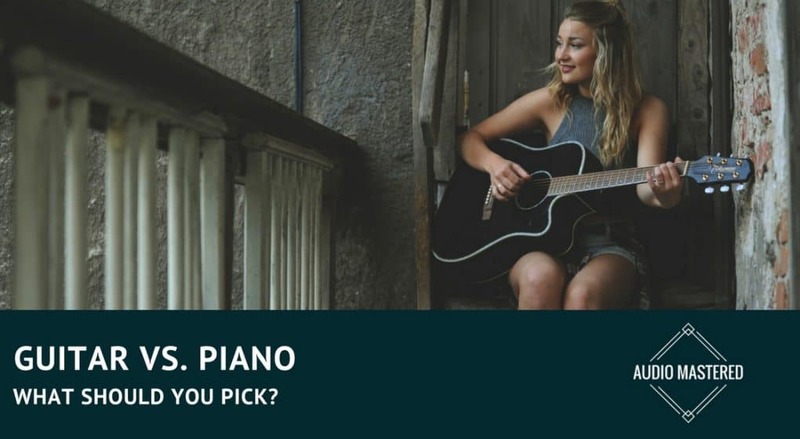 Piano – What Should You Pick? Let’s start with the piano. For starters, the piano has many characteristics that makes it incredibly beginner friendly. Unlike the guitar, the piano is a mechanical instrument. Instead of actually touching the strings themselves, the piano uses a mechanism called a hammer to strike the strings. This fact alone makes the initial learning stages of piano much easier compared to guitar. You only have to press down on the key and the perfect note will sound. 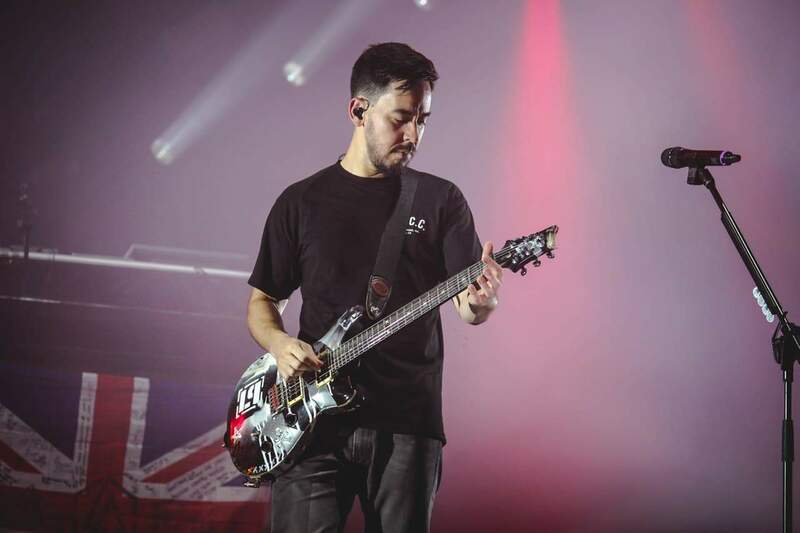 Guitar, on the other hand, requires you to place your finger in the exact location, with the correct pressure, while simultaneously striking the string with the other hand. The mechanical nature of the piano also makes it much easier to play faster. The hand and body position is much more natural and piano doesn’t require as much hand strength. However, it does come with downsides. The inability to actually touch the strings results in limitations of expression as you become more advanced. Sure, you still have control of velocity (the strength in which you strike the keys) but this a far cry from the level of expression you can achieve with guitar. The musical arrangement of the piano also makes it much easier to learn for beginners. The simple pattern of notes is repeated without change from one end of the piano to the other. The notes are arranged in a way that is intuitive and easy to grasp for those who are just beginning to learn music. The way that piano is arranged also lends itself to reading music. Standard notation fits perfectly when there is only one scale on the keyboard. 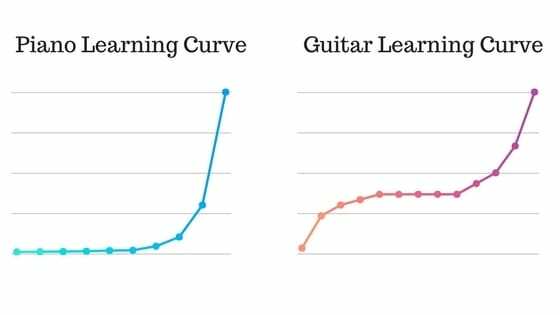 This isn’t the case with guitar, which is why many guitar players can’t read music and can only learn from tablature. Piano does have a few challenging aspects to it. For instance, I found learning to separate your two hands while playing to be mentally exhausting. The nature of the music also tends to be more complex with pianos compared to guitar. While learning the guitar does come with many downsides, it is still the most popular instrument to learn. Let’s start with the challenges. The first year of learning the guitar is going to be filled with sore fingers and awkward hand positions. It takes at least a year to build up the hand strength required to play guitar for extended periods of time. 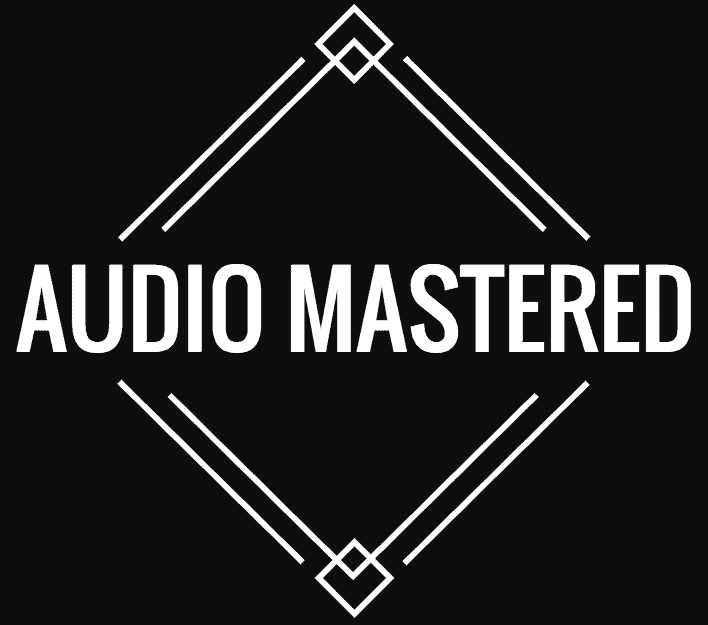 It will also be some time before you are able to produce anything that sounds remotely close to music. The first few months will be a constant struggle with missed notes and muted strings. You will have to learn both strumming patterns as well as chord positions. Your fingers will be sore until you are able to build up the calluses required to press the strings against the fretboard. Unfortunately, the musical layout of the guitar is not at all intuitive. Many guitar players aren’t consciously aware of the notes they are playing. Instead, they rely on memorized scale patterns, chords, and other simplified mental models. That being said, many guitar players can produce beautiful music without having an in-depth knowledge of music theory. This brings me to the first upside to playing guitar. Because it’s so popular, there is almost an unlimited amount of information available to teach you guitar. Every step of the learning curve is fine tuned by thousands of previous students and teachers who are more than willing to teach you. Once you’ve gotten past the first few months, you should be able to play an almost unlimited number of songs while knowing only a handful of chords. However, it will still be some time before you are playing melody, lead, or fingerpicking. Because of the reasons listed above, the learning curve for piano is much less steep than guitar. The picture below provides a good comparison of the two. The first stages of guitar are very frustrating. As mentioned before, your fingers hurt and you have difficulty actually producing notes. However, once over the initial grind, things level off and you are able to play at what I consider the average guitar level. Most guitar players stay at this level - being able to strum out a few songs around the campfire. The time it takes to move onto a more advanced guitar player is similar to mastering the piano. Surprisingly, the startup costs of piano is actually coming close to that of guitar. Realistically, you are looking at spending around $200 for an entry-level acoustic guitar. 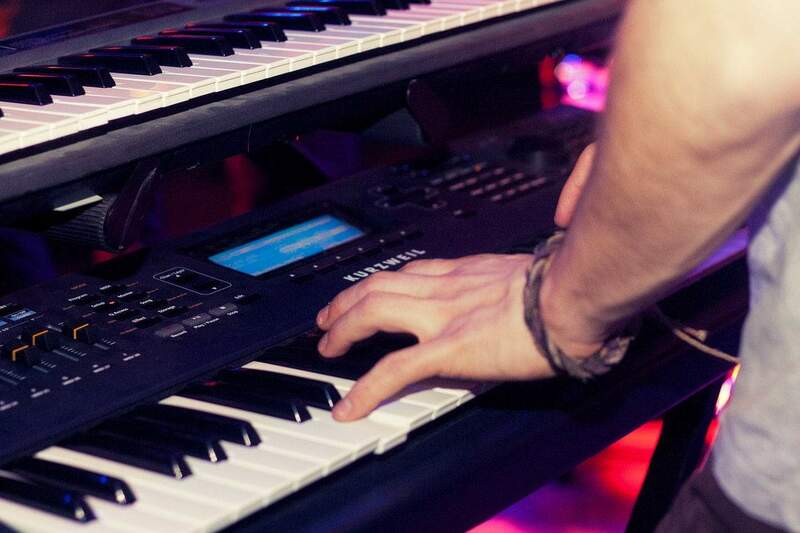 Nowadays, you are able to pick up a decent digital piano for the same price. However, digital pianos are nowhere near as portable as guitars. If you are looking to jam around the campfire, or with friends, guitars definitely have the upper hand. Pianos also take up much more space and can be very disturbing to your fellow housemates if you don’t have a digital piano. Acoustic guitars are much quieter and won’t be nearly as disturbing during the beginning phase. There is another consideration we need to take into account - gear. Guitars (electric guitars in particular) require another level of knowledge. You’ll need to understand how the different FXs pedals work, how to EQ your guitar and amp, as well as how different styles of guitar and amp will affect your sound. This is also true with acoustic guitars. There are numerous different styles of acoustic guitar each with their own pros and cons. This isn’t really the case with pianos unless you are delving into the world of synthesizers. Finally, I find guitars to be much more powerful when it comes to soloing. I attribute this to the greater ability to emote and provide expression through actually touching the strings. I hope this article has provided a little more perspective for anyone considering learning an instrument. In summary: piano is much easier to learn in the beginning and will provide endless development opportunities. Better for those who like to play solo. Guitar takes a lot more work but the reward is worth it at the end. If you consider yourself someone who gives up easily, I recommend you start learning the piano. If you want to learn an instrument to play along with your friends beside a campfire you’ll want to learn the guitar. I highly recommend anyone deciding for their children to start them learning on the piano. The piano will provide them with an intuitive musical foundation that they can later transfer to their instrument of choice.